Cpl. Kenneth H. Floyd, son of Mr. and Mrs. S. E. Floyd, attended Cache High School. 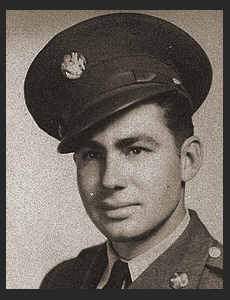 Entered Army in Sept. 1942, trained in Camp Hulen, Texas; served in S. Pacific and the Negros. Awarded Asiatic Pacific Ribbon with three Battle Stars, Philippine Lib. Ribbon.